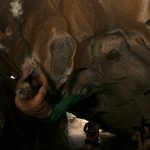 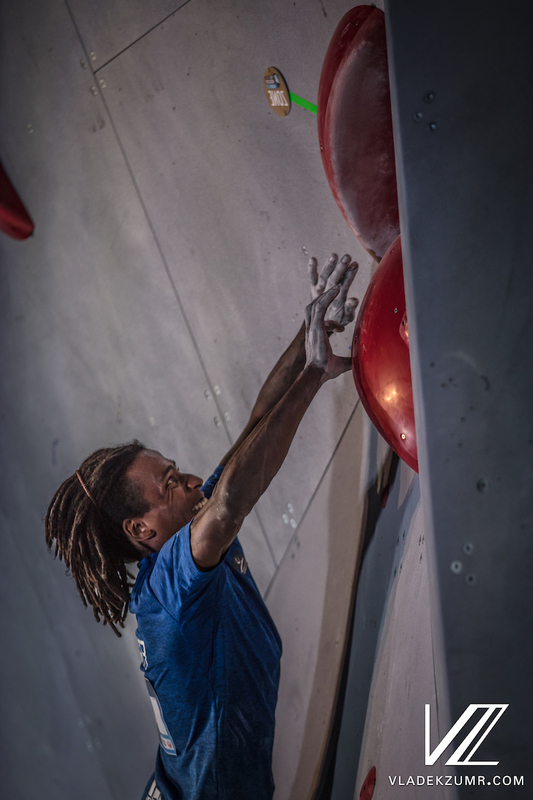 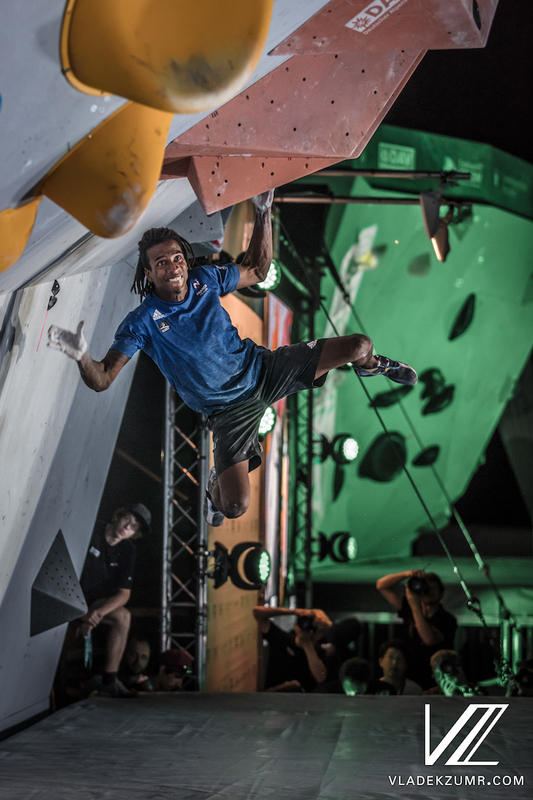 The final installment of the 2018 Bouldering World Cup season delivered the goods and photographer Vladek Zumr was there to capture all the best moments. 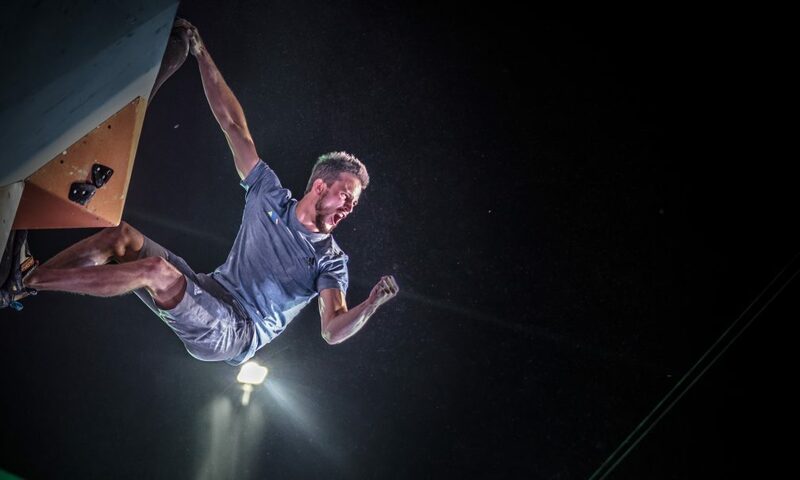 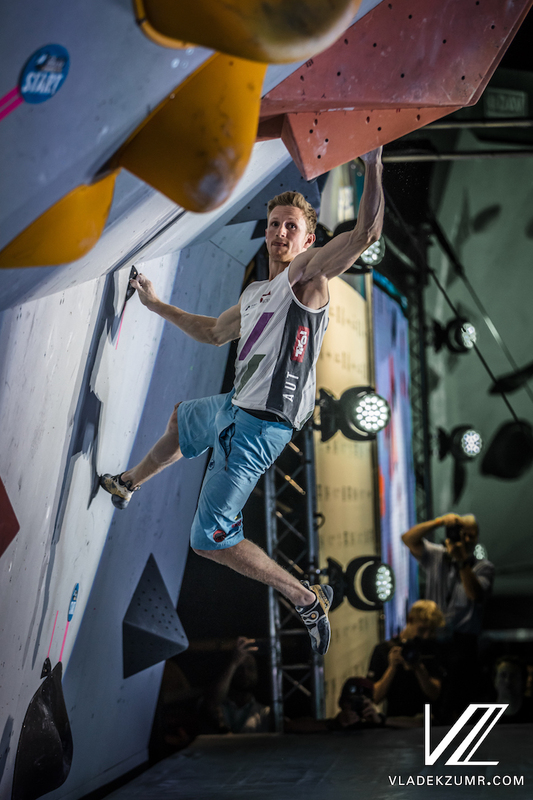 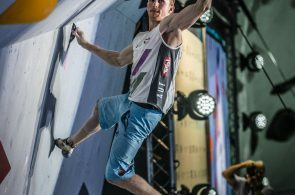 Jernej Kruder of Slovenia finished second in Munich but he was celebrating more than just a silver: his performance was enough to secure him the title of Overall Champion of the 2018 Bouldering World Cup season. 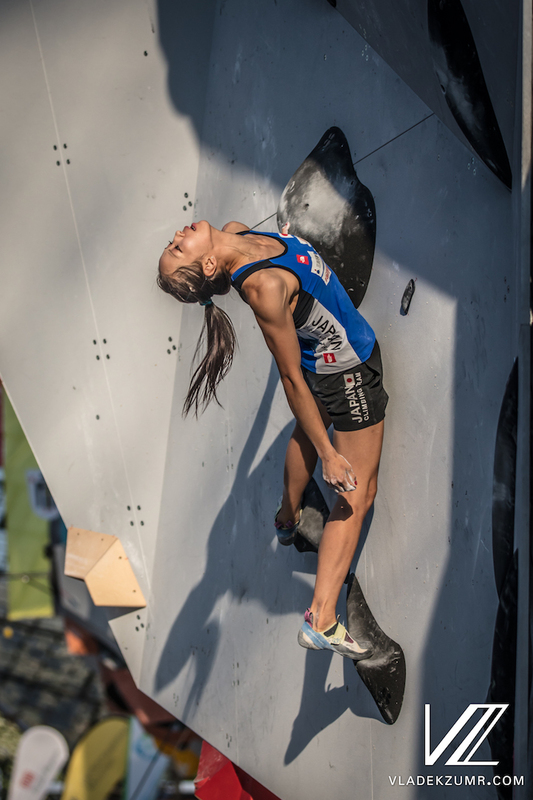 Akiyo Noguchi of Japan launching herself upwards during finals. Just a couple weeks after placing first in the Lead World Cup in Arco, Italy, the Austrian Jakob Schubert snuck onto the podium at Munich with a third place finish. 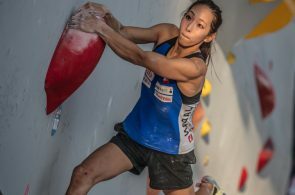 Noguchi with her eyes on the prize. 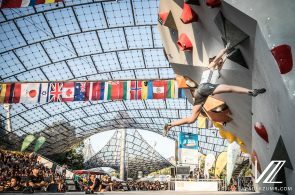 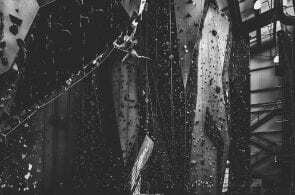 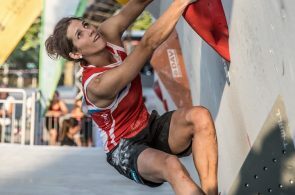 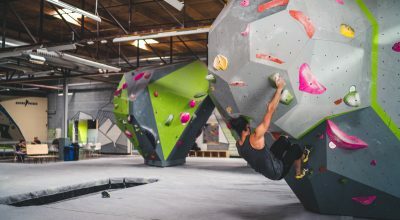 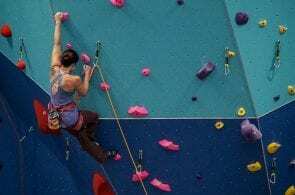 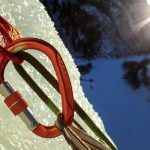 She would go on to take third in the competition and second in the 2018 season for the Overall Bouldering World Cup. 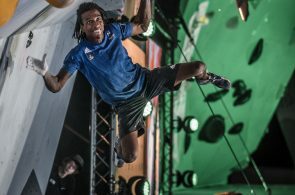 Mickael Mawem of France didn’t podium, but he was happy to make his first finals appearance of the 2018 Bouldering World Cup season. 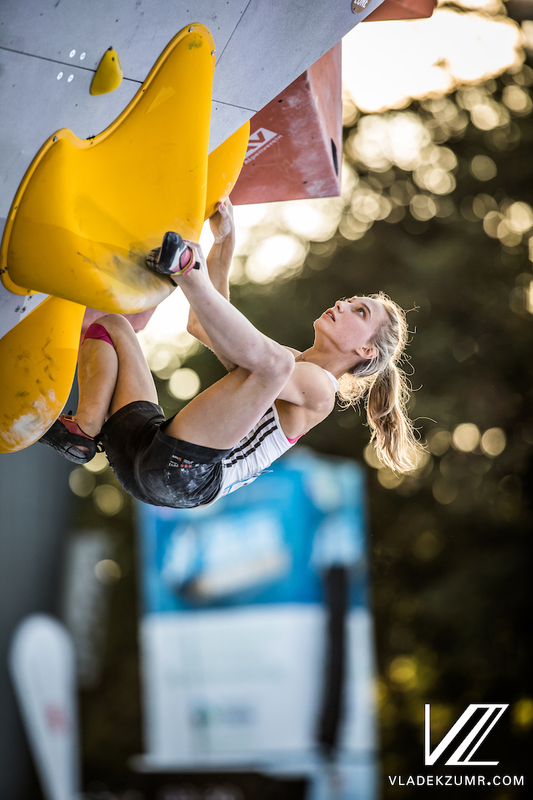 Janja Garnbret is just too dang good. 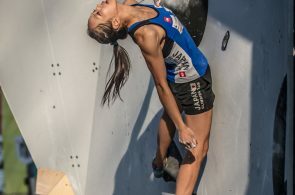 In the last 19 World Cup events (lead and bouldering) that she has participated in, she has medaled everytime—12 of them gold, including Munich! 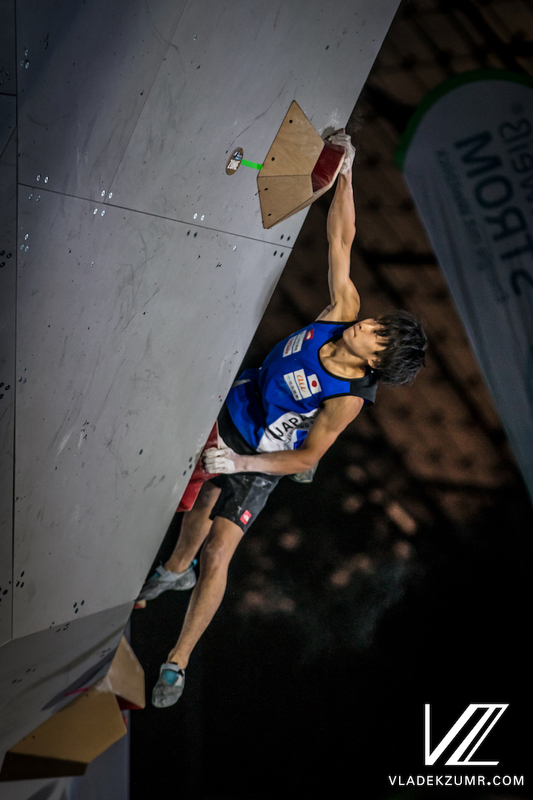 A staggering nine Japanese men made the 20-person semi-finals in Munich, but Yoshiyuki Ogata was one of just two, along with Yuji Fujiwaka, to make finals, and Ogata was the top-finishing man from his country, in fourth. 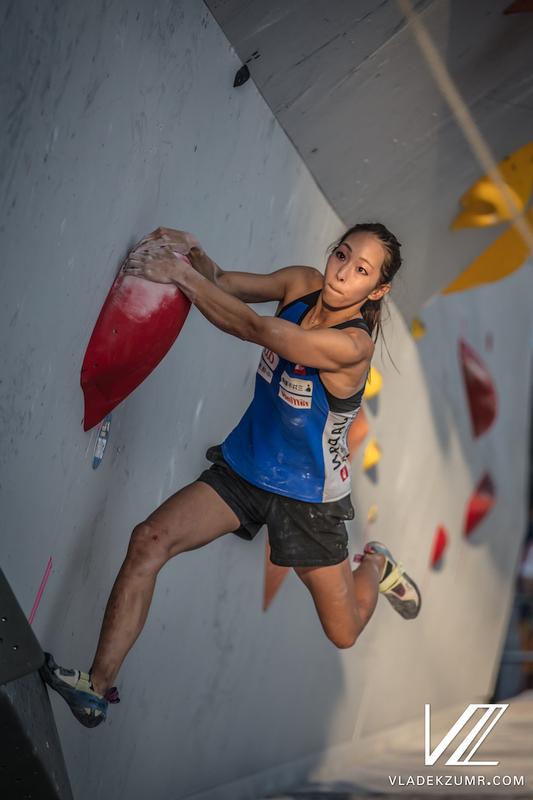 Ekaterina Kipriianova of Russia finished off the podium in sixth at Munich, but had a great season overall, and took a bronze at Hachioji, Japan in June. 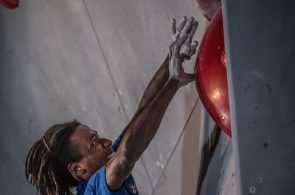 Mawem giving it his all. 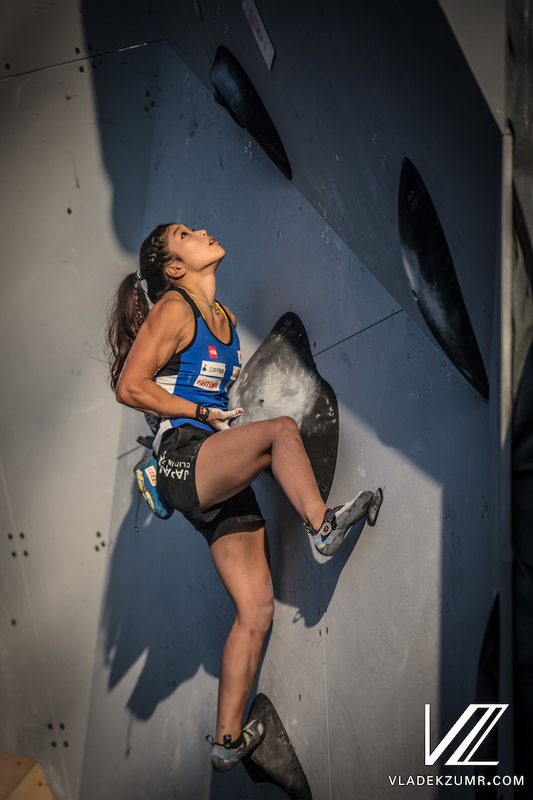 Miho Nonaka of Japan en route to a silver—her incredibly impressive seventh medal in seven Bouldering World Cups in 2017. 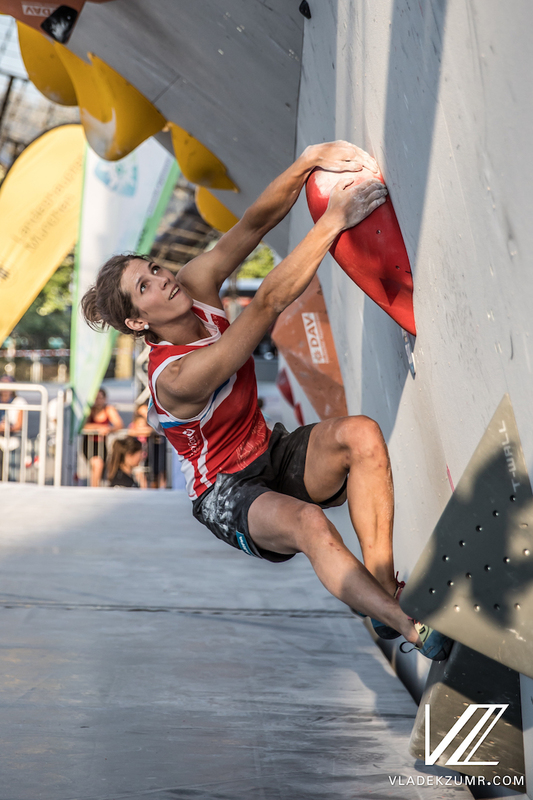 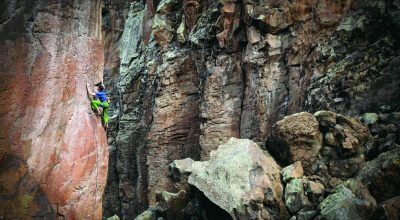 The Slovenian climber Katja Kadic putting on a show in finals. 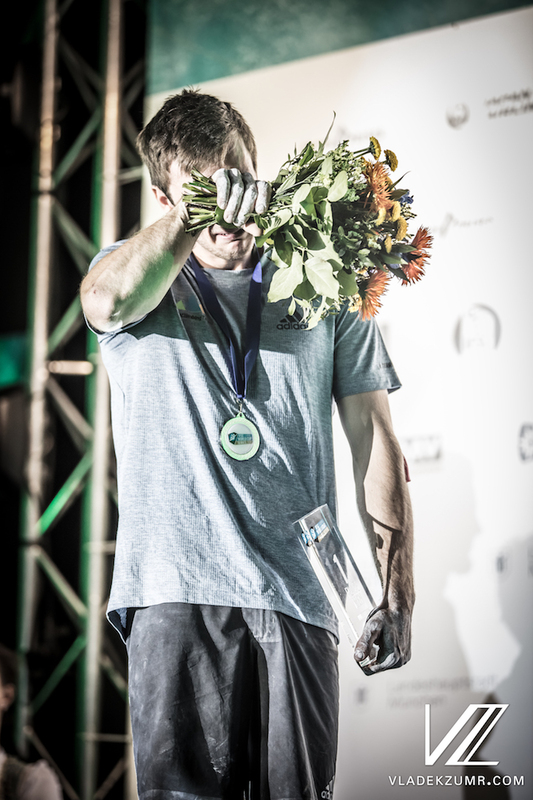 Kadic came in fifth. 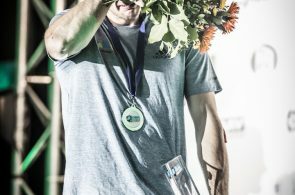 Gregor Venozik of Slovenia breaks down in tears of joy during the medal ceremony. 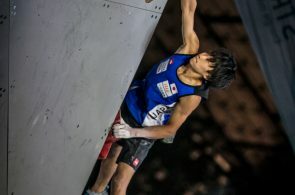 His gold in Munich was his first ever at a World Cup. 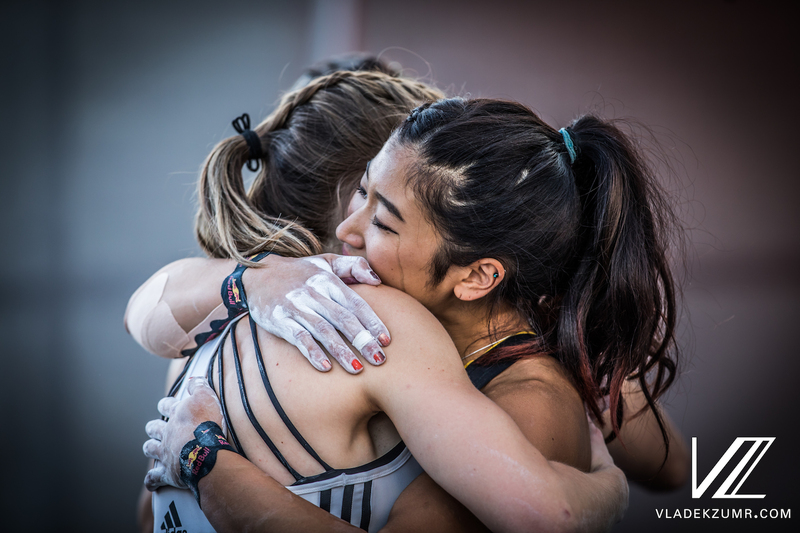 Katja Kadic embraces a teary Miho Nonaka, in disbelief that she just won the Overall Bouldering World Cup title for the 2018 season.